The rollout of Emerald Waterways’ “Star Ships” continued Friday, Aug. 21 with the dual christening of Emerald Dawn and Emerald Sun in Budapest, Hungary. The ships join Emerald Sky and Emerald Star in the revolutionary lineup of river ships. Travel industry veteran Kelly Bergin, of Boca Raton, Florida-based OASIS, was on hand as godmother for Emerald Dawn. Also there to welcome the two new ships was U.K. travel industry veteran Julie Kendrick, godmother of Emerald Sun. 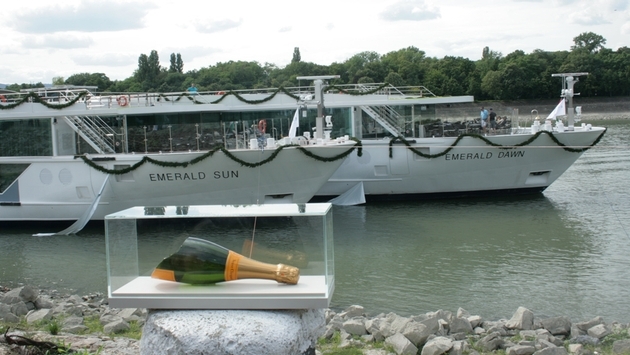 “The Emerald Sun, with her innovation and style, will bring immense enjoyment and everlasting memories for everyone who sails in her and to be not only part of that experience but to be godmother means I am an Ambassador for her and a brand which I believe is leading the way in putting stylish and iconic vessels into the river cruise market … this privilege would take those ‘pinch me moments’ to another level,” Kendrick said. Both vessels share the same configuration as the previous two, with 72 suites and 20 staterooms, including two built for solo occupancy and some with an “indoor balcony” that lets guests push a button to open the upper half of the floor-to-ceiling window. The top suites have a full balcony accessed by sliding glass doors. The Star Ships also have a heated swimming pool with a retractable glass roof, two restaurants, a hairdresser, massage therapy room and fitness area. Launched in 2014, Emerald Waterways caters to the four-star-plus market with fares that include all transfers to and from the ships; all onboard and some on-shore meals; unlimited tea and coffee; wine, beer and soft drinks with lunch and dinner; bottled water in cabins; continental breakfast, pre-dinner canapes and after-dinner sweets served in top suites; Wi-Fi onboard the ship; most shore excursions; bicycles to use for independent touring; and all gratuities. 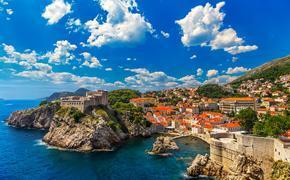 TravelPulse Cruise Editor Theresa Masek contributed to this report.